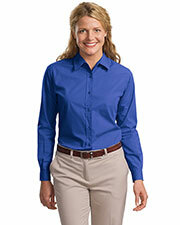 Ladies dress shirts are a must in every young and adult woman’s wardrobe. 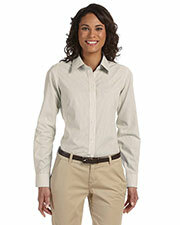 While they may seem formal and stifling, women’s dress shirts have come a long way, even becoming a fashionable piece. 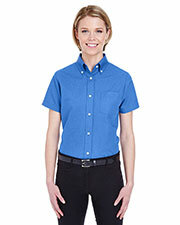 At Gotapparel.com we have a large range of women’s dress shirts, from the most classic, professional ones, which almost invariably belong with a suit, to the trendier, fashionable ones, which come in bright colors and subtle patterns. Our collection features a selection of the best American brands such as Van Hausen, Port Authority and CornerStore, with styles to fit and flatter any size a woman could ever need, at great, affordable, discounted prices. 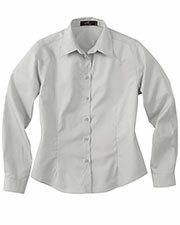 You can easily start building your professional wardrobe with one or more women’s dress shirts. Besides being a great staple for school and work, women’s dress shirts are a great way to turn an overly casual outfit into something appropriate for a serious event. 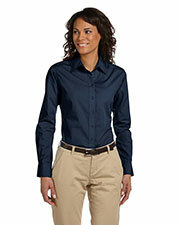 Inexpensive high quality women’s dress shirts make you look nice and well put together without much effort. In today’s busy times, anything that helps you save time is a valuable commodity. 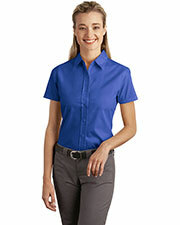 We have women’s dress shirts that are easy to wash and dry and easy to simply throw on and look nice without any extra fuss. Look into other casual apparel with our fashion tees, button downs, and performance polos. I absolutely love dressing up in these blouses. I particularly love the blouses in lime and butter. It’s fun to wear them and the fit is perfect. Their white is a classic just like a black dress. 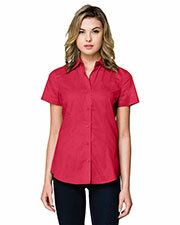 These blouses are so comfortable to wear you’ll enjoy yourself no matter what your purpose is for wearing them. It’s a wonderful long-sleeve dress shirt. The sizing is perfect and the color selection is just right because I don’t like being overwhelmed with too many choices. 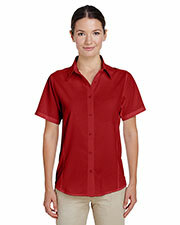 I have a straight body shape so I find the classic cut of this shirt to be perfect. I’ll get more of these. 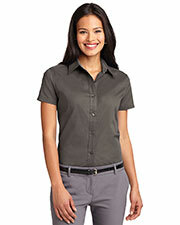 These are nice shirts although I wish they also offered these Oxfords with a slim cut. 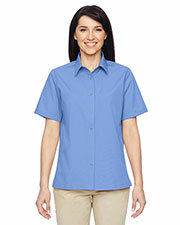 I look boxy in these shirts and had to run them in the sewing machine to create a bit of a flattering fit. But I love that the fabric is soft and does not wrinkle too much.